What if our Gospels . . .
. . . aren't Gospel? It was supposed to be a simple bit of salvage archeology for Father Duncan MacDonald, the Vatican archeologist: Explore an empty cave uncovered in the Negev Desert by an Israeli construction crew for archeological significance. But then a false wall in the back of the cave reveals a basalt ossuary, inscribed with the name of “Matthew Levi, Beloved Scribe of His Lord.” Behind the ossuary . . . an ancient tomb with a human skeleton and a sealed jar. Finding the undisturbed tomb of one of the Apostles of Jesus leads the Israeli government to call in Duncan’s companions, who had discovered the Testimonium of Pontius Pilate three years earlier. 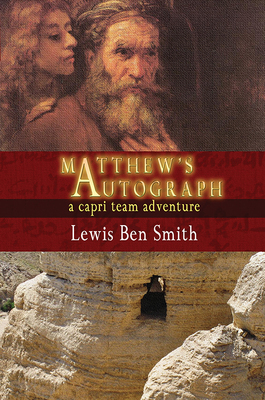 When the three archeologists arrive in Tel Aviv, they discover an amazing document inside the tomb: the end of Matthew’s Gospel, written in the Apostle’s own hand! Excitement turns to pandemonium when they translate the scroll and find the text varies drastically from every copy of the Book of Matthew in existence. Have the New Testament Gospels been altered since they were written? Has this tomb really lain undisturbed for two thousand years? Is this ancient manuscript really . . .